Nursery Rhymes are a classic element to any childhood. 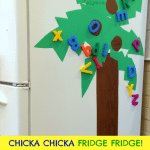 My kids will ask to recite the same ones over and over, the rhymes are so much fun to them! Pop Goes the Weasel somehow never gets old in our house. 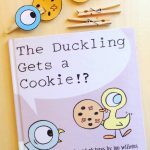 That is why I'm so excited to join the gals over at Sugar Aunts and a great group of bloggers to bring you two weeks of crafts and activities inspired by classic nursery rhymes! 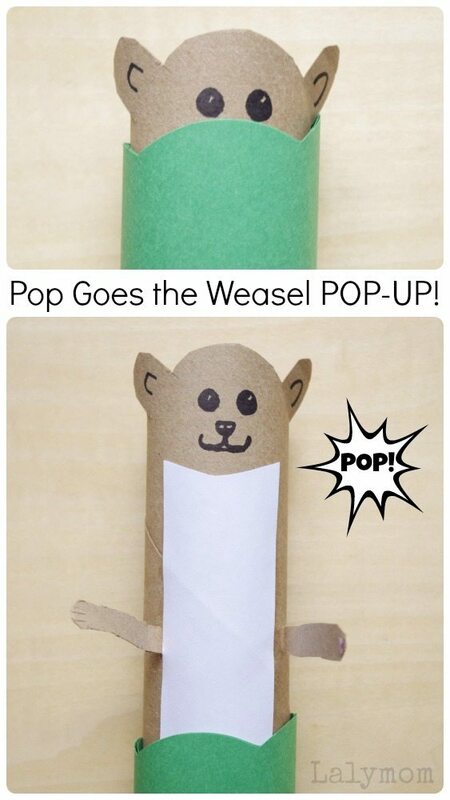 This Pop Goes the Weasel Pop-Up Craft is pretty easy and pretty silly! The way you cut the arms from the cardboard and lightly bend them, makes it so that the arms pop out of the Mulberry Bush tube when you pop the weasel up! FUN! Since I was going to make a craft about it, I decided to look up the full lyrics to Pop Goes the Weasel and was a little surprised at how many versions exist! I had heard a few variations but there are words that are totally new to me in the other versions! Ha! You probably have a slightly different version- or maybe a VERY different version- but that is really okay! We can all band together and do this little craft because the only part that matters is the POP goes the weasel part! 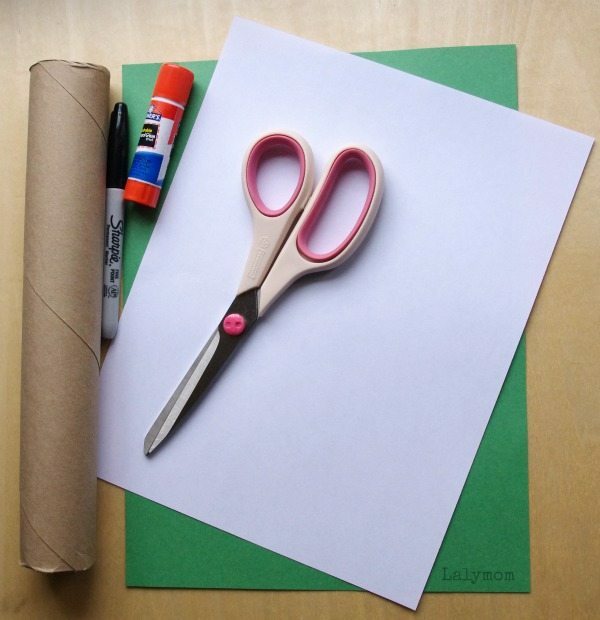 Prep the cardboard roll- Using your scissors, cut the outlines of the two ears from the end of the cardboard roll and trim the top of the head to round it, as shown in the picture. Fold the ears forward at the dotted lines. You can trim a bit of the back of the head if desired. 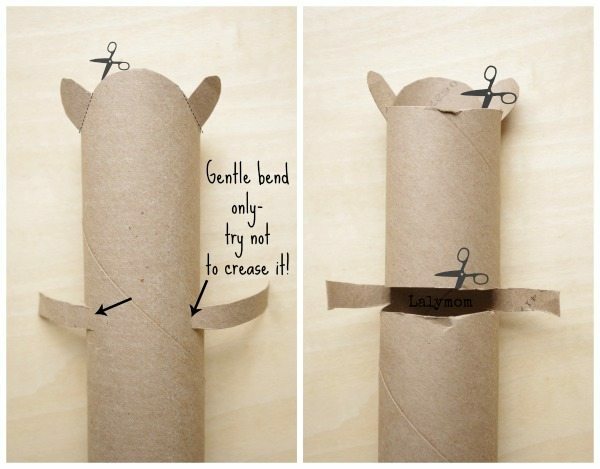 Next turn your weasel cardboard roll face down and about three inches from the top, use your scissors to cut strips for the arms. Feel free to round the edges of the paws and snip in some lines to indicate the digits. Draw your weasel's face- (I googled weasel and switched to image results and just kinda drew it based on the pictures.) Based on my observations, you are aiming for some black, wee beadie eyes, an inverted triangle nose and barely noticeable mouth. Give your weasel a white belly- Did you ever notice they all seem to have white bellies? Cut a strip of white paper to fit between the arms. Cut a slight crescent from the top to indicate the chin. You may choose to give him white paws as well. I did this on one of mine and it was mildly more tricky than without. Give your weasel a Mulberry Bush- Cut a green piece of paper in half. You can cut some semi-circles from the top to make it resemble a Mulberry bush. 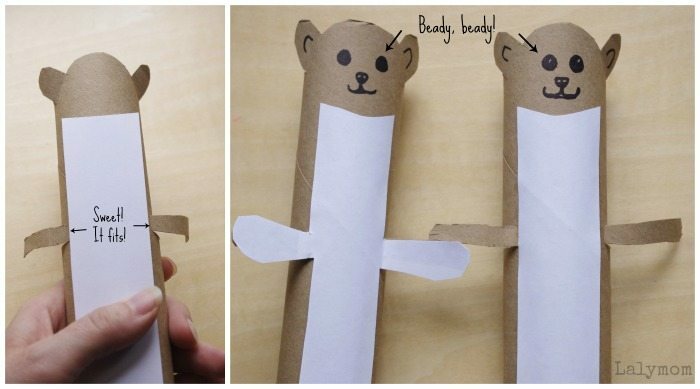 Wrap it loosely around the cardboard roll- be sure to leave extra room since you will need the weasels arms to fit- and tape it together at the back. 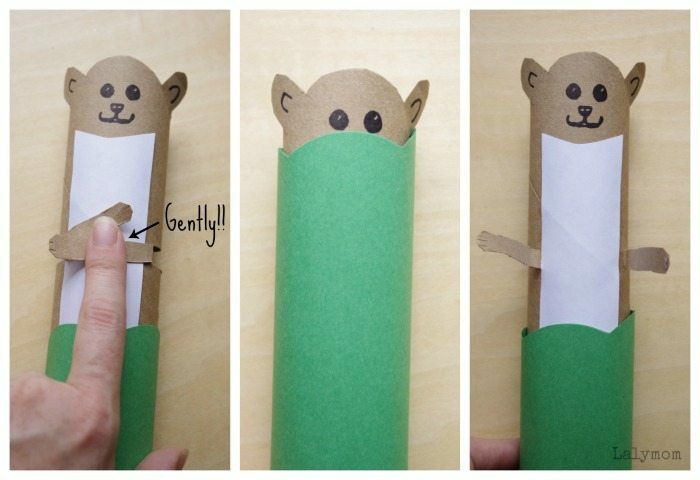 To prep the weasel, very gently bend his arms across his tummy and slide the green paper up to cover the weasel's face. Now sing the song, and show your child how to make the weasel pop out! So fun, right?! I hope you enjoy this craft! If you make one, please let me know how your kids like it! Looking for more activities based on kids classics? Check out these posts and for even more cool inspiration follow my DIY Kids Stuff Pinterest Board! 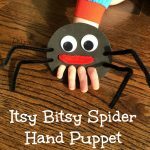 Follow Laura @ Lalymom Kids Crafts & Activities's board DIY Kids Stuff on Pinterest. 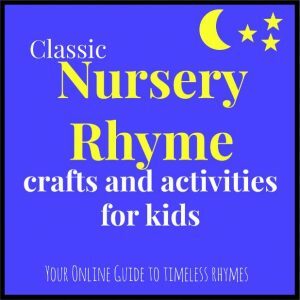 We've got 10 days of 10 different nursery rhyme projects for you. This is going to be fun! 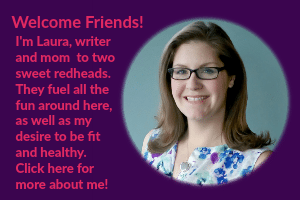 We'll be updating this page each day as each of the bloggers post their activities. 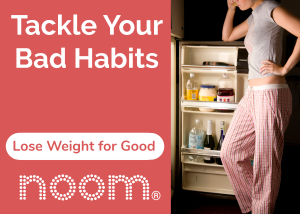 Stop back each day to see the fun! This is such a cute toy to go with the nursery rhyme!